We’ve all heard the term “helicopter parents.” It seems to be the parenting affliction for the 21st century. These are parents who want their children to succeed so much that they involve themselves in their children’s lives to the point where they don’t let their kids learn and do for themselves. Or that they fear that their child will make a mistake, no matter how small, that they don’t even give their children the opportunity to learn from failure, even when it’s safe to do so. I wrote about the subject a few months ago. Humorously, a Capri Sun commercial from earlier in 2012 illustrates the point quite well. As adults and Scouters in the Boy Scout program, we often want the boys in our troop to have a good experience in Scouting. We want our troop meetings to be productive. We want our outings and campouts to go smoothly, set up quickly and orderly, with meals cooked, served and cleaned up on time, and when it’s time to go home, everything taken down and packed up promptly and neatly into the trailer. Yes, we want the same sort of neat, snappy troop that we imagine Norman Rockwell had in mind, or as did Fred McMurray in Follow Me Boys! or any of a dozen other stereotypes. To that extent, we sometimes become helicopter Scouters. We hover over the boys at troop meetings, ready to step in and rescue the troop meeting to keep it on course and to “help” the senior patrol leader get the boys quiet. We sit in on meetings of the patrol leaders’ council, sometimes outnumbering the boys, running the meeting for them, directing and channeling the planning process along the lines of what we think is an ideal program. We take over on arrival at camp, unloading the trailer, directing the setup of common areas and tents, and setting up the adult campsite where we think it’s best – sometimes in and among the boys even. Are you a helicopter Scouter? Do you think it’s so important to have a well-run productive troop that you’ll get in the middle of the boys’ business to do it? Do you think you have to “keep the boys on task” in order to get everything accomplished at the troop meetings? To take over planning at PLC meetings to “make sure it gets done right”? To boss the boys around on campouts to get camp set up quickly so you can rush right into campfire and cracker barrel, up and at ’em at oh-dark-thirty so the porridge will be ready to eat on schedule, or torn down quickly so you can get home in time for the big game or a round of golf? If this is how you think – if you think the patrol method is the cause of all your problems rather than the solution to them, if you think your troop meetings are chaotic and unproductive because of not enough adult involvement in planning and executing them, if you think campouts run more smoothly when planned and run by the adults – then you are likely a “helicopter Scouter” without any idea of what Scouting is. Your thought process is more like a youth sports coach than a Boy Scout adult leader, scheduling all the games, formulating and directing all the plays, and doing just about everything except play the games for them. 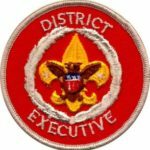 Our mission – our mandate – is to deliver the Scouting program exactly as written. We absolutely do not change things just to conform to our own, or someone else’s, opinion of how they think things should be run. Where is it written? In the Boy Scout Handbook, the Scoutmaster Handbook and at Scoutmaster training. If you have not read these, or taken training, it’s imperative that you do so. Otherwise, you probably don’t understand what Scouting is, and you are not delivering the promise of Scouting that your boys and their parents are expecting, are paying for, and are entitled to. Don’t be a Paula Evert. You can’t play the game for them. You must support the boys as they learn to lead the troop for themselves. You cannot be perturbed if troop meetings are chaotic and not up to your standards of orderliness. If it takes the boys three hours to set up their tents, so what? They’re not going to get any better at it with you standing over them taking away their leadership. Never lose sight of why we are here and who we are here to serve. The boys are volunteers too in the most basic sense – if they didn’t want to be here, you wouldn’t be here either. Image: Screen grab from Capri Sun commercial. Additional material from Ask Andy, the Net Commissioner. Nice post, thanks. I think this hits on the #1 problem found in scouting adults. Good intents with bad results. We often want things to go well – we want to make sure everyone goes home safe, happy and having had a perfect (as we see it) experience. It’s unfortunate that it ends up being almost exactly opposite what the program intends and what is actually best for the boys. I find having honest, frank and early communication with new parents and leaders around what we do and why we do it helps with this, along with subtle (or not so subtle) reminders along the way. What a really great post. Thanks. We don’t allow helicopter parents or scout leaders in our troop- we work hard to make sure helicoptering can’t happen. It’s hard on first year parents and the Scoutmaster who has to deal with those parents. Unless it is a matter of safety, we let the boys succeed or fail all on their own. It’s been a great learning experience. My son, who is heading into his 2nd year, has come home twice now with a soaked sleeping bag, shivering and complaining that his tent was not set up right and he was miserable. I thought he’d learn after the October campout, it was a nice warm weekend, but the night was a bit chilly. In January it was even less fun (they were in GA). The boys learn great when they succeed, but even better when they fail- they rarely make the same mistake twice and are the better scout for it. When I see some of the first year parents who think we should be helicopter leaders, and I see that they fully embrace their helicopter parenting role, I really get scared for the future. I don’t see this style of parenting or leading as one that has the goal of raiding a self-sufficient, competent, confident adult.